World of Architecture: Sky City (J220): Construction Start This November? Sky City (J220): Construction Start This November? We heard some things about China's Sky City also known as J220 that caught our attention. They are serious! They will do it! 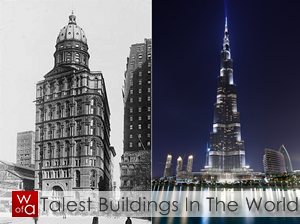 China is getting world's tallest building and whole lot of world records. Interesting article showed up on Wired, an interview with the man behind the project, BSB founder Zhang Yue who explained what is going on with the project at the moment. You probably heard that Broad Group is planning to build world's tallest building in only 90 days. This was pushed back to 210 days or seven month. Sky City One, now renamed to J220 should be 838m tall skyscraper, 10m taller than current World's tallest, Burj Khalifa (828m). Also, J220 is planned to have 220 floors, filled with luxury apartments, low income housing along with retail and business space. J220 will be also earthquake resistant and have 31 high speed elevators. The most important info is that foundations should be laid this November, next month, and if everything goes well, new world's tallest building should be done by March 2013! "It’s hard to say for sure that the 16-million-square-foot plan isn’t entirely a publicity stunt. 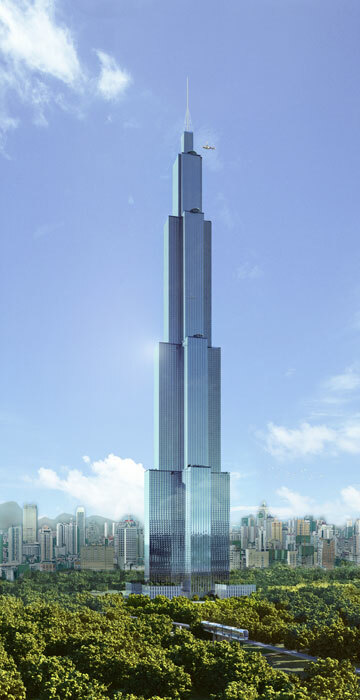 But Zhang has hired some of the engineers who worked on the current height-record holder, Dubai’s Burj Khalifa, and Broad has created two large models of “Sky City” (as the J220 has been nicknamed). The foundation is scheduled to be laid in November at a site in Hunan; if everything goes well, the building will be complete in March 2013." This will be very interesting to watch! You can read full interview by Lauren Hilgers here. Read and watch more about the Sky City here.